An upcoming auction will feature almost a thousand unique, vintage corkscrews. CollectorCorkscrews.com, which has conducted 26 international online auctions and sold over 10,000 antique and collectible corkscrews with sales totaling more than $5 million, will hold its next sale from April 12th-21st. The sale will feature over 900 lots, ranging in value from $100 to over $5,000. New bidders may register now, at CollectorCorkscrews.com, to bid in this important upcoming auction. 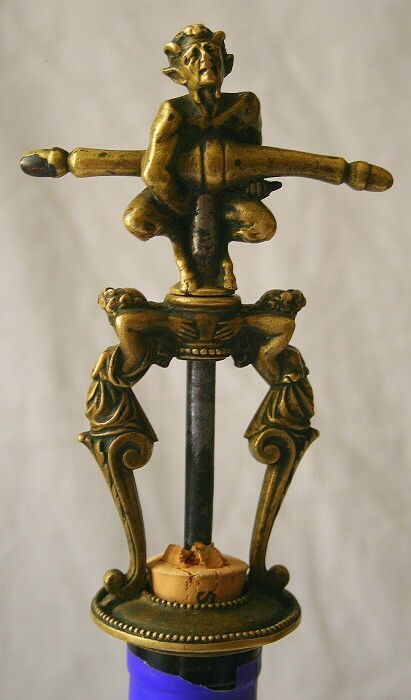 This beautiful satyr and nymphs corkscrew boasts a handle depicting a satyr with distressed features, horns and cloven hooves, struggling to life the cork from the bottle. The cage proper consists of two nymphs assisting in the struggle. The collar has two rows of ornamental beading with very fine detail to the bronze casting. While there are no markings, it was previously identified as German in origin with a remarkable patina. 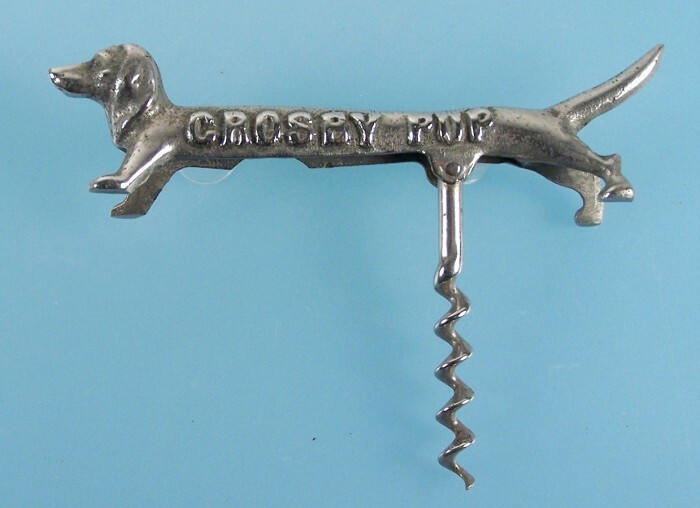 This highly sought-after Crosby Pup corkscrew, marked on the side “CROSBY PUP” is of a limited number (50 or 60) that famous American singer/actor Bing Crosby had made to give to his friends. 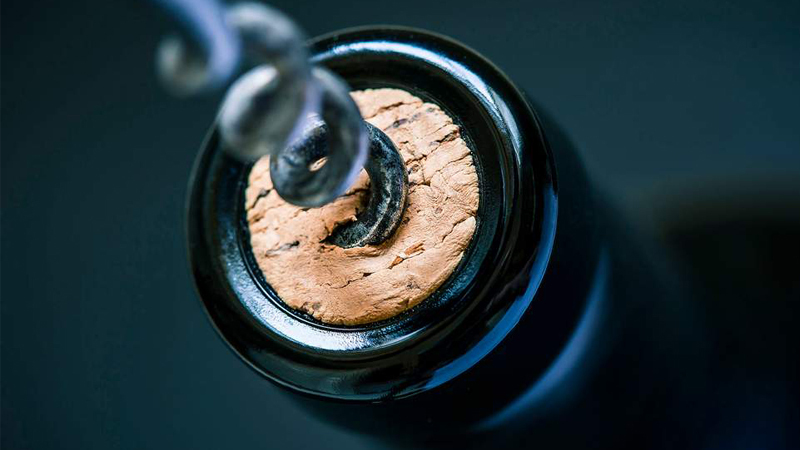 The corkscrew folds out with a spring mechanism, and there is a bottle opener on its back legs.